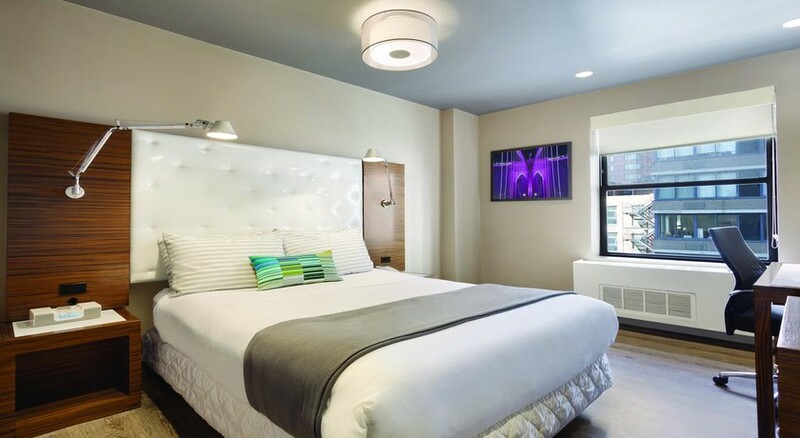 The Gallivant Times Square is situated on 48th and Broadway, and is an excellent base from which to explore NYC’s dining, nightlife, theatre, entertainment and exploration. Encouraging its residents to go Gallivanting, the hotel’s in-room maps, to the location signs in the lobby is inspired by the spirit of adventure. This posh and comfortable hotel invites all kinds of travellers, whether for business, leisure or those with family. 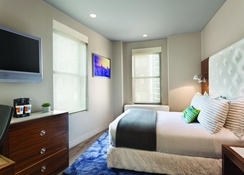 The hotel takes extra care--from in-room fitness equipment, to bunk beds to make their stay really comfortable. Guests will find all conveniences like two oriental restaurants and a fitness centre in-house and excellent bars and pubs are nearby should you just need a place to relax. The Gallivant Times Square is just 400m from Restaurant Row, 650m from Rockefeller Centre and 2km from Central Park. 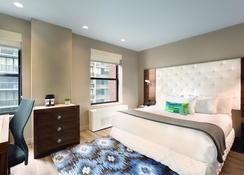 The 49 Street underground station is a short 3 minutes' walk from the hotel, offering excellent connectivity to the rest of the metropolis. 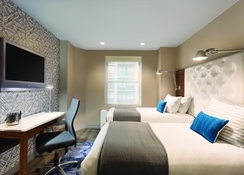 The Gallivant Times Square has opulent rooms furnished in contemporary décor that can accommodate up to two guests with a pillow-top full size bed and newly renovated bathroom with a hairdryer and free toiletries and eco-friendly bath amenities. Measuring 168 square feet — there is oodles of space for a couple looking to experience The Big Apple without the big-budget cost. 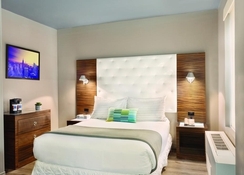 The rooms have a flat-screen cable TV and an iPod docking station. 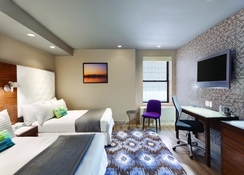 The non-smoking rooms come with free Wi-Fi and local calls. The hotel is in walking distance to Barbetta, P.J. Clarke’s, Carmine’s Italian, Grand Central Oyster Bar and other famed NYC dining destinations. There is a bar right next door. The hotel has lobby access to An’nam (ANNE-nom) Japanese and Vietnamese cuisine and Ding Korean Barbecue. The Ding Korean Barbecue serves breakfast between 7am – 10am and tickets can be purchased online with room or the reception counter.